The Pasadena Tournament of Roses partners with PRIMESPORT to offer official Rose Parade ticket packages as well as official Rose Bowl Game ticket packages. All tours include hospitality at Pasadena area hotels. Please visit their website for more information. Sell your Rose Bowl Game tickets at the Official Ticket Exchange via Primesport.  The Official Rose Bowl Game Ticket Exchange is the only 100% guaranteed, approved secondary marketplace. Fans who can no longer attend the Rose Bowl Game may list their tickets for sale in a safe, anonymous and convenient way, and sell their tickets to fans through the Official Ticket Exchange. Please visit their website for more information.  The Tournament of Roses will have a public sale for the tickets to the 105th Rose Bowl Game on December 4, 2018, beginning at 9 am PT/12 pm ET. Tickets will be available online by clicking HERE or by calling Ticketmaster at 1-800-653-8000. 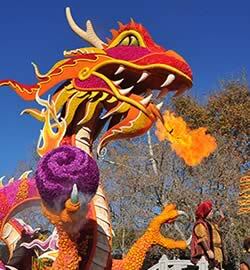 Official and reserved grandstand seating for the Rose Parade and ancillary Tournament of Roses events are now available for purchase through Sharp Seating Company. Please visit their website for more information or call their office at (626) 795-4171. A limited number of tickets for Pasadena residents (age 18+ and proof of residency required) will go on sale in early December at the Pasadena Civic Auditorium Box Office. The Pasadena Tournament of Roses partners with PRIMESPORT to offer official Rose Parade ticket packages as well as official Rose Bowl Game ticket packages. All tours include hospitality at Pasadena area hotels.  Official and reserved grandstand seating for the Rose Parade and ancillary Tournament of Roses events are now available for purchase through Sharp Seating Company.